With candy corn and other Halloween treats already being stocked at local supermarkets, it’s not too early to get your family ready for fall entertaining and upcoming Halloween party planning. 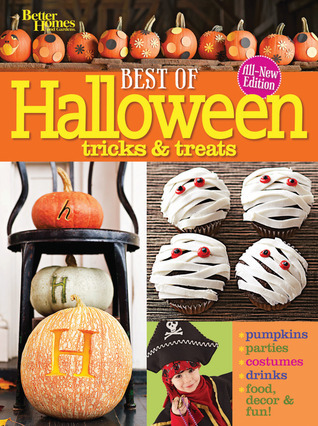 Better Homes & Gardens has recently released a fabulous guidebook, “Best of Halloween Tricks & Treats” (www.bhg.com) which contains hundreds of fun and creative ideas that families can pursue together. Topics covered include everything from swell homemade costumes to elaborate pumpkin carving instructions, outdoor decorations and even a party buffet featuring an RIP coffin as the serving centerpiece. Plenty of artwork included which can be copied onto the appropriate paper stock, along with great resource information for buying materials featured in the various chapters, including a medical supply source for life-sized skeletons!